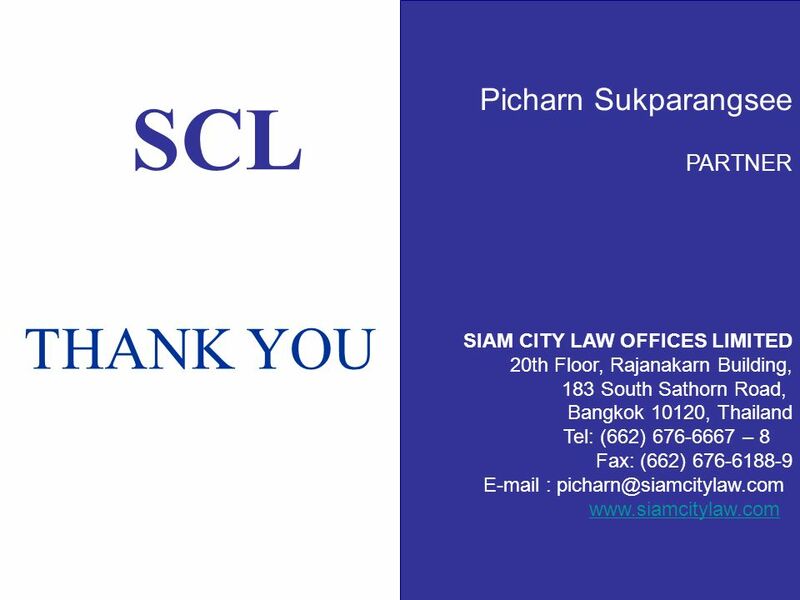 SCL Legal Issues and Practices in Relation to M&A Transactions presented by Picharn Sukparangsee at the Conference on Mergers & Acquisitions 2010 arranged. 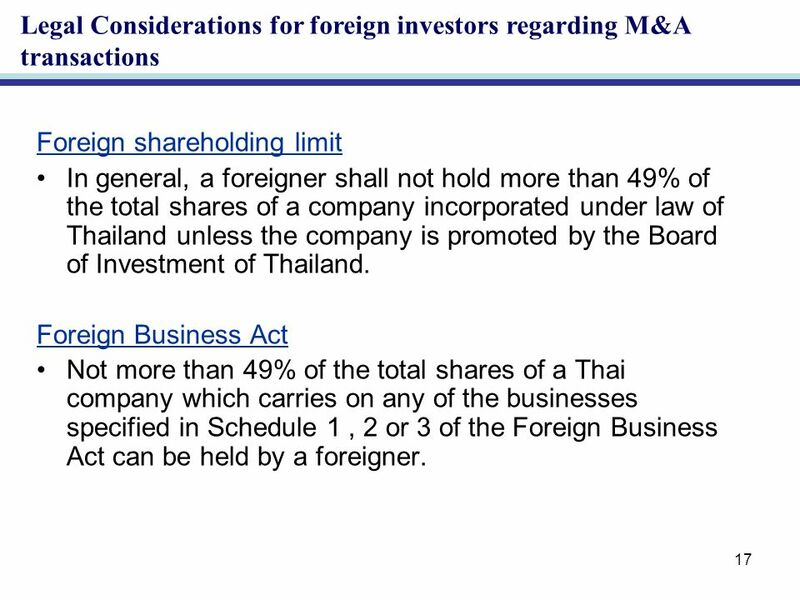 4 4 Reporting requirement acquisition or disposition of every of 5% of the total voting shares, not the total issued shares securities acquired or disposed may be shares or convertible securities In the case of existing shares, a report shall be made within 3 business days from the date of acquisition or disposition of existing shares. 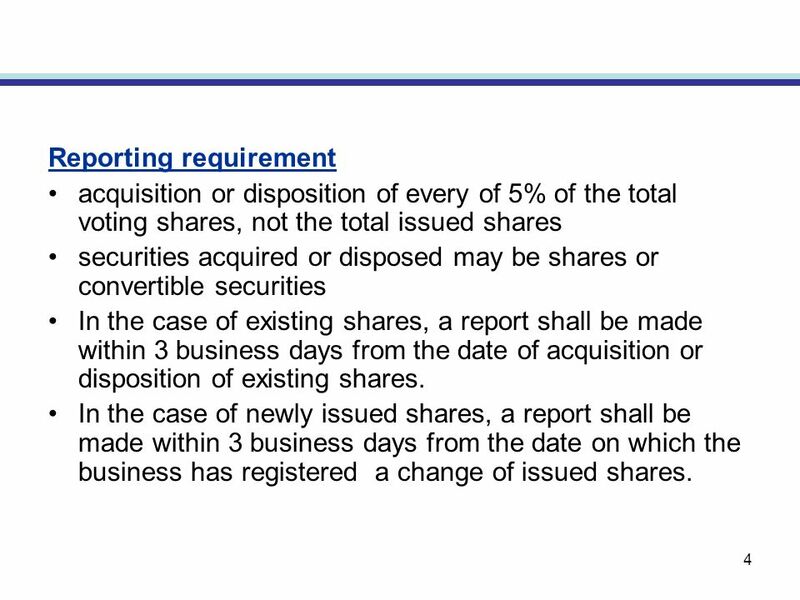 In the case of newly issued shares, a report shall be made within 3 business days from the date on which the business has registered a change of issued shares. 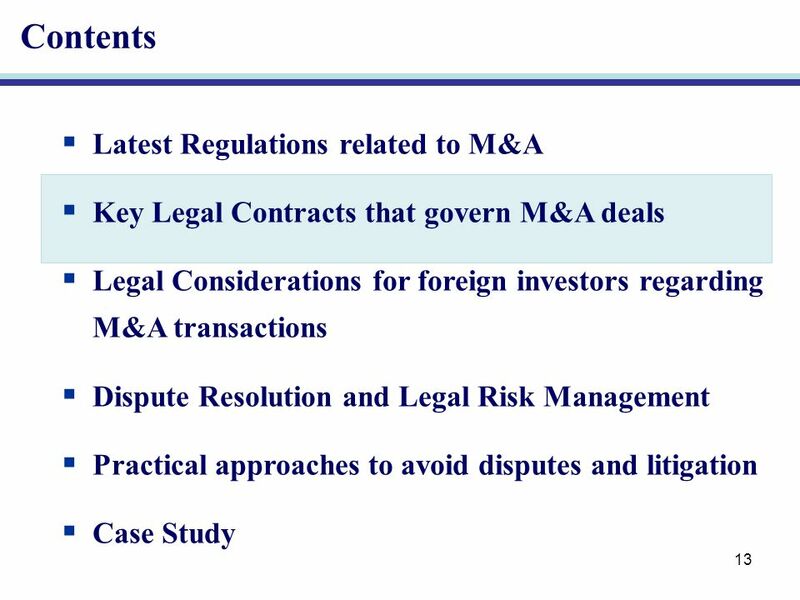 5 5 Tender offer requirement Any person acquires 25% of the total number of shares, 50% or 75 % of the total voting rights of the company shall make a tender offer of the securities of the company. 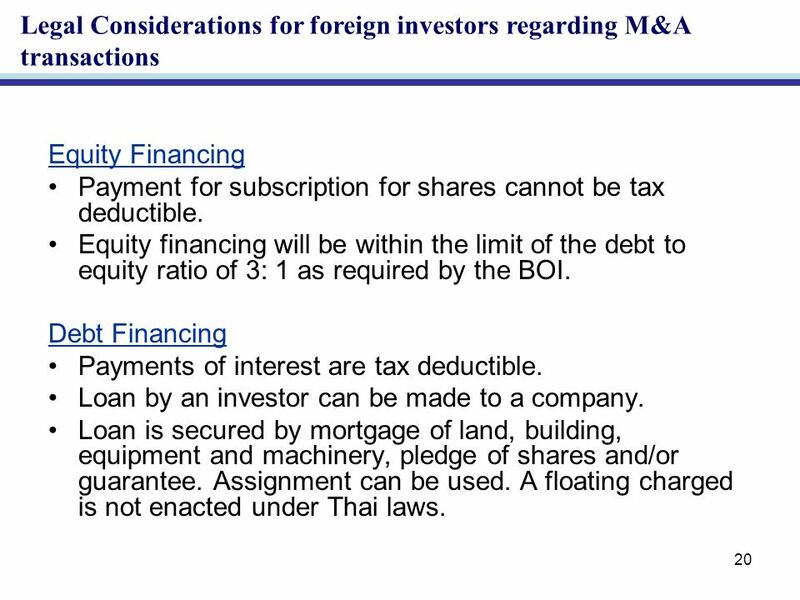 Exceptions of tender offer 1. 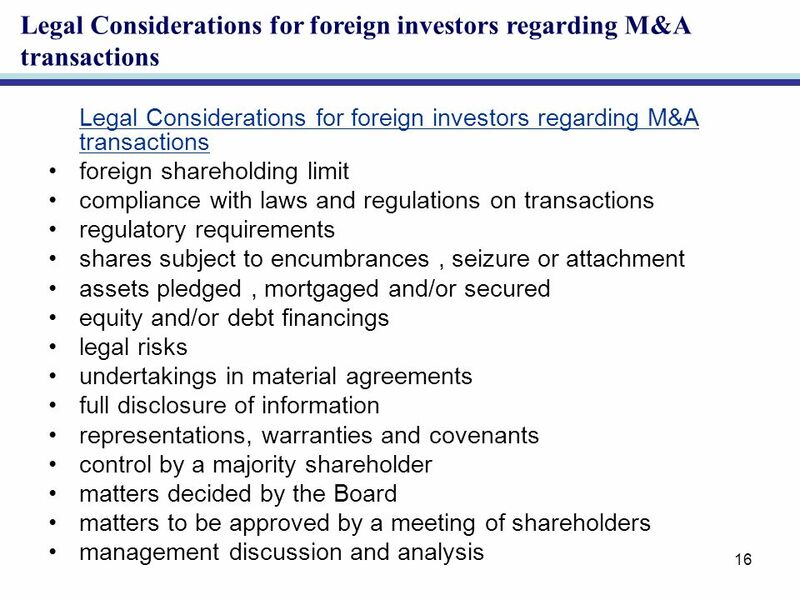 Acquisition of securities by inheritance or a right issue. 2. 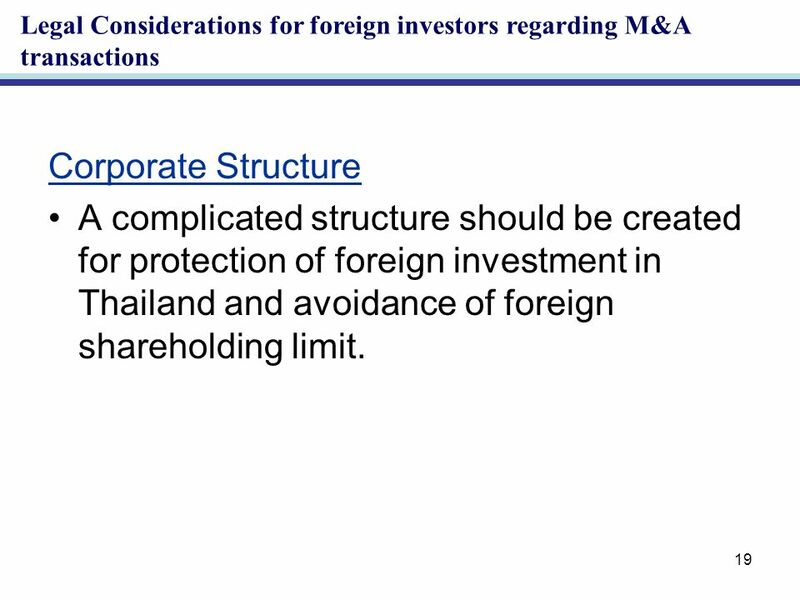 Acquisition of securities by a Thai trust fund or a company authorized to offer a non-voting depository receipt or NVDR. Notes 1. 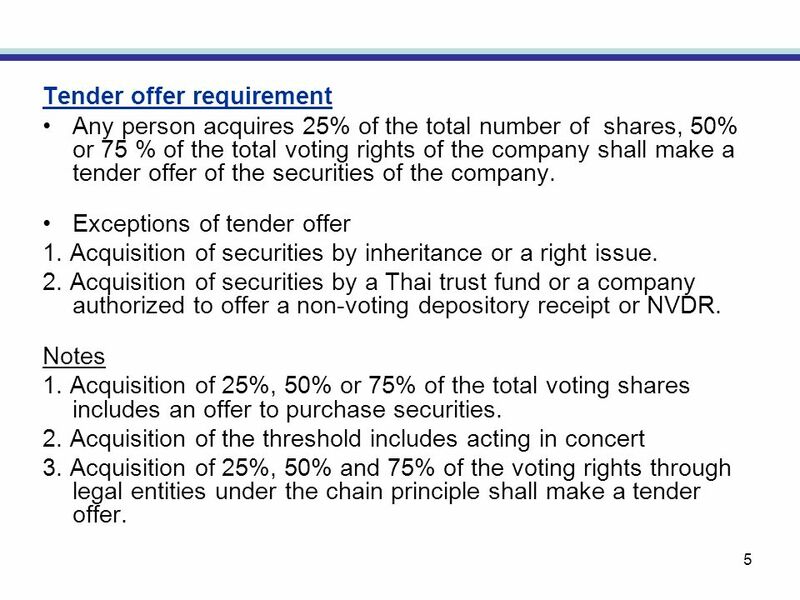 Acquisition of 25%, 50% or 75% of the total voting shares includes an offer to purchase securities. 2. Acquisition of the threshold includes acting in concert 3. Acquisition of 25%, 50% and 75% of the voting rights through legal entities under the chain principle shall make a tender offer. 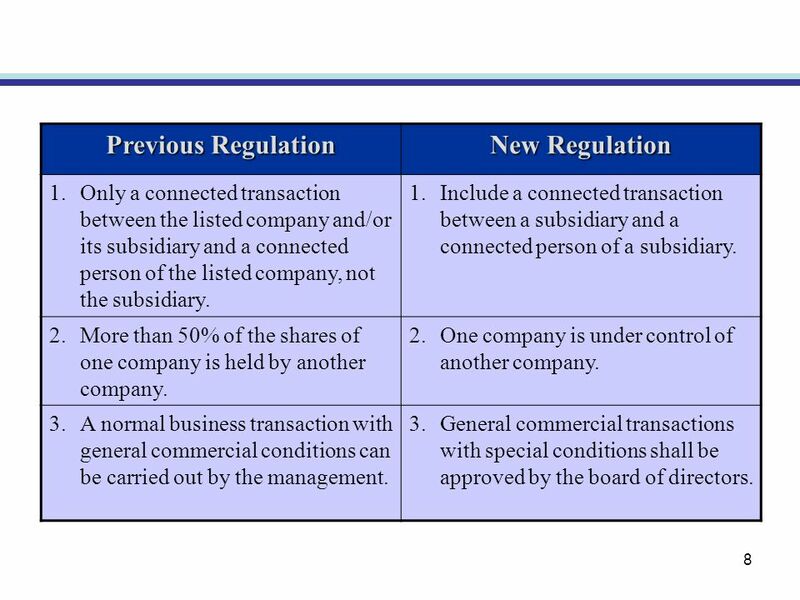 8 8 Previous Regulation New Regulation 1. 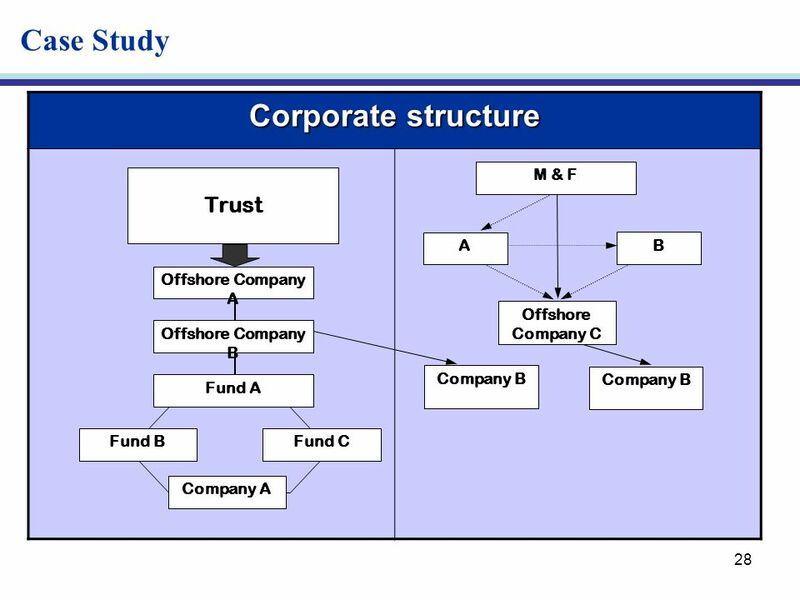 Only a connected transaction between the listed company and/or its subsidiary and a connected person of the listed company, not the subsidiary. 1. 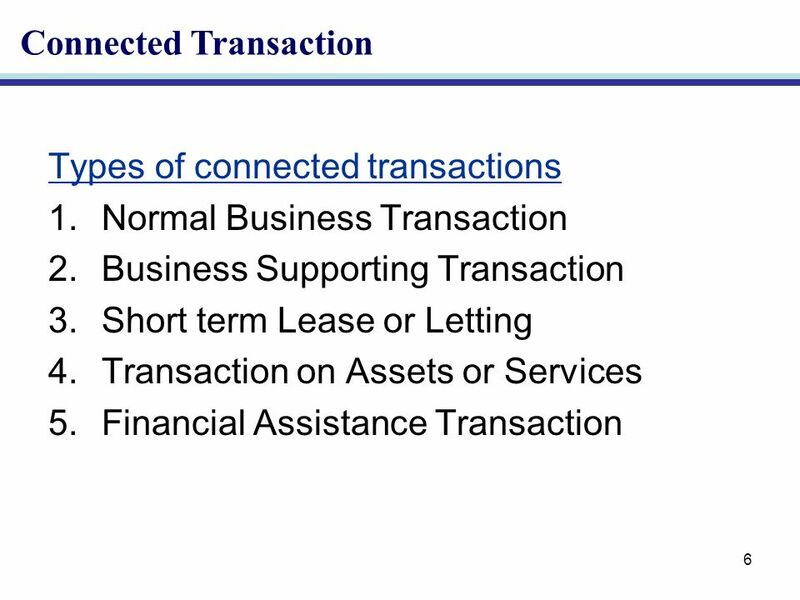 Include a connected transaction between a subsidiary and a connected person of a subsidiary. 2. 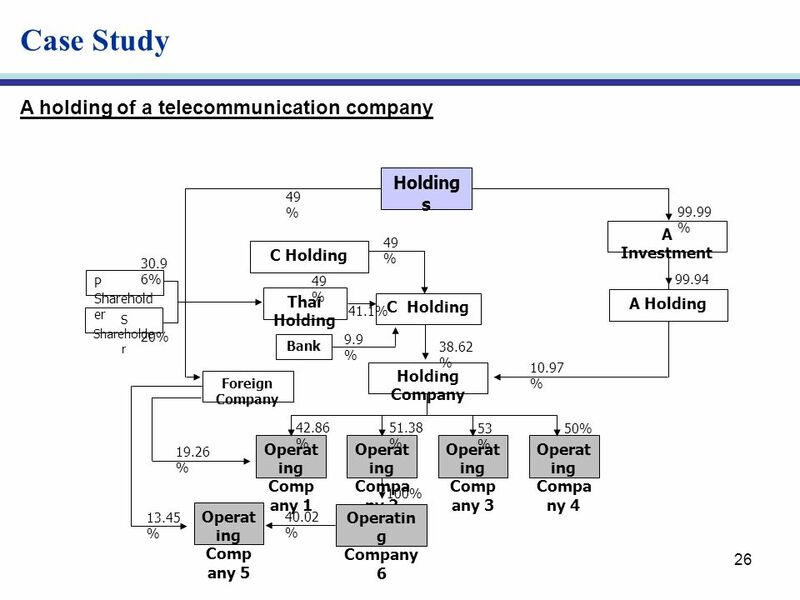 More than 50% of the shares of one company is held by another company. 2. One company is under control of another company. 3. 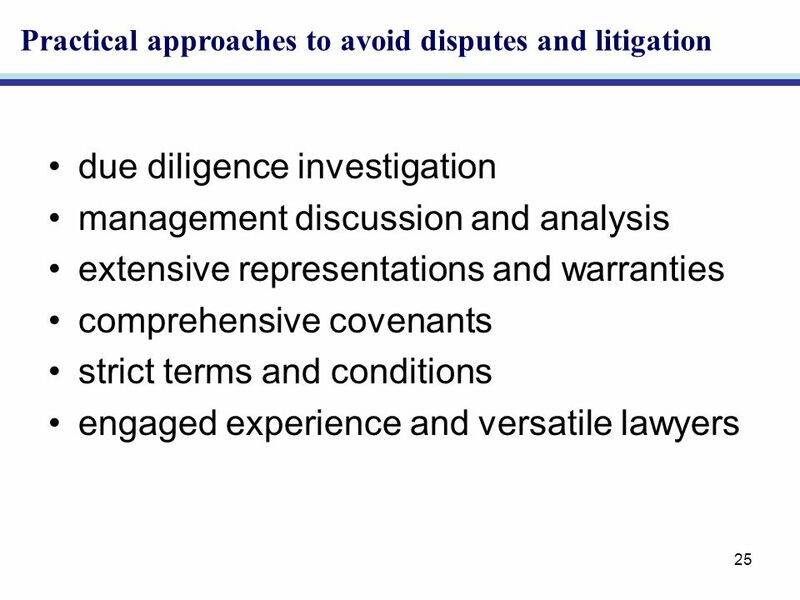 A normal business transaction with general commercial conditions can be carried out by the management. 3. 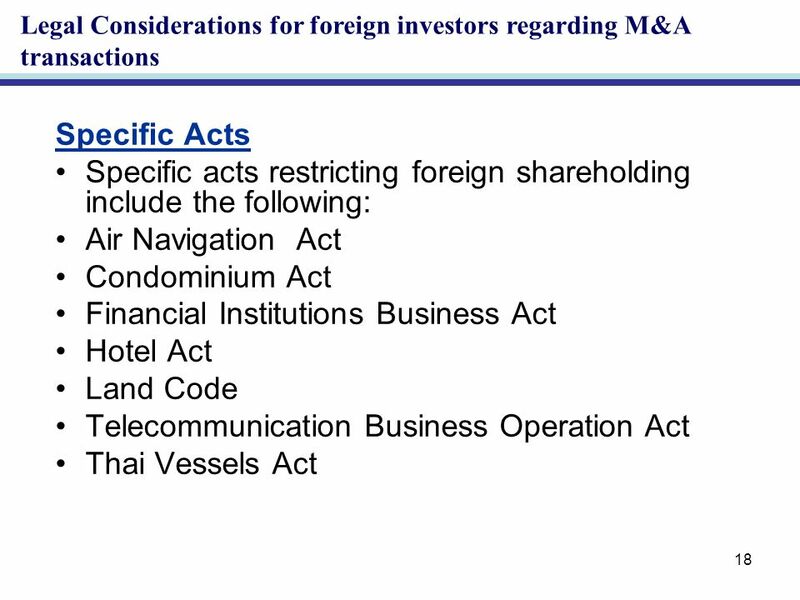 General commercial transactions with special conditions shall be approved by the board of directors. 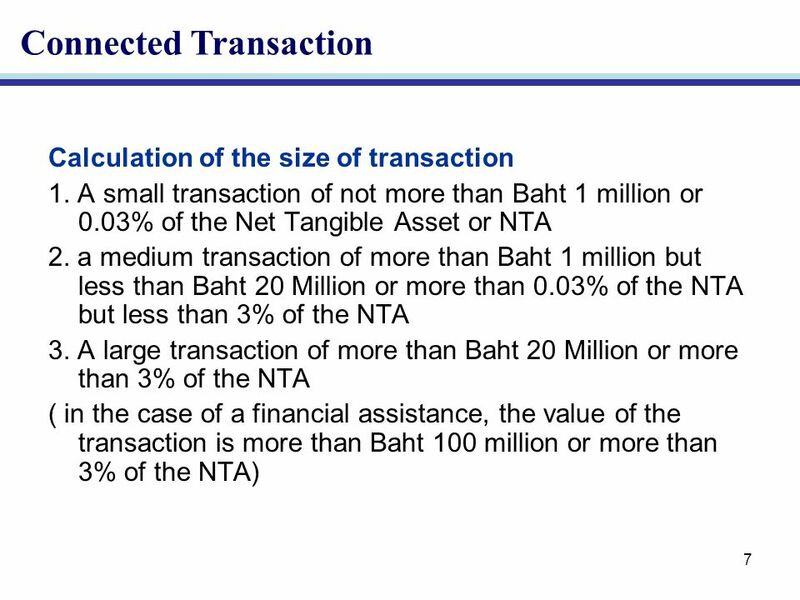 9 9 Acquisition and disposition of Assets Types of transactions 1. 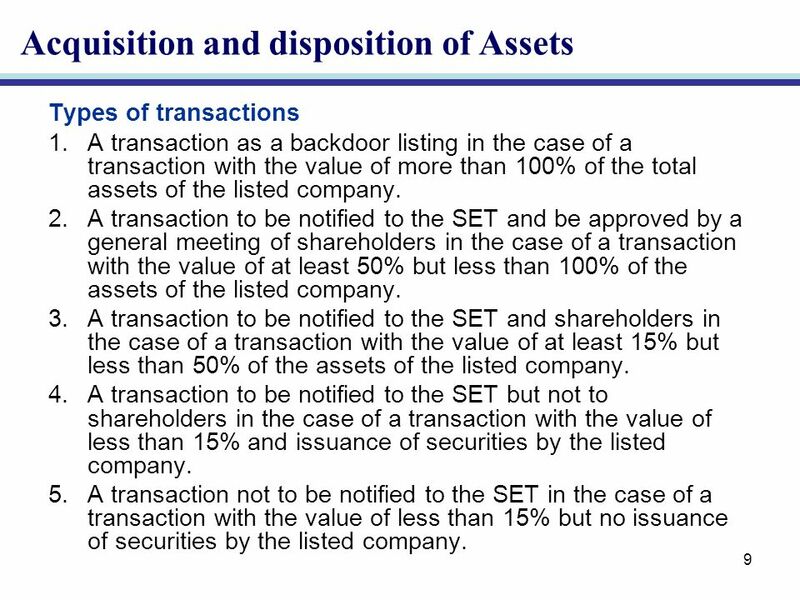 A transaction as a backdoor listing in the case of a transaction with the value of more than 100% of the total assets of the listed company. 2. 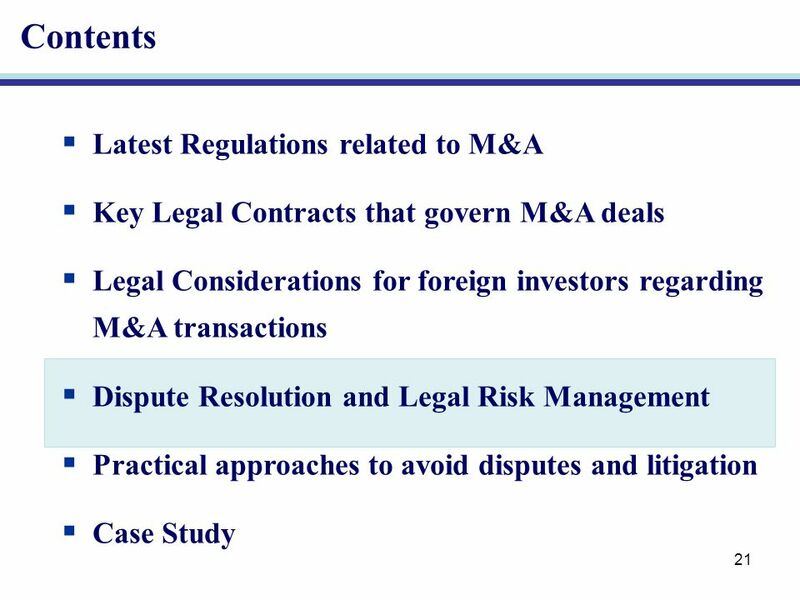 A transaction to be notified to the SET and be approved by a general meeting of shareholders in the case of a transaction with the value of at least 50% but less than 100% of the assets of the listed company. 3. 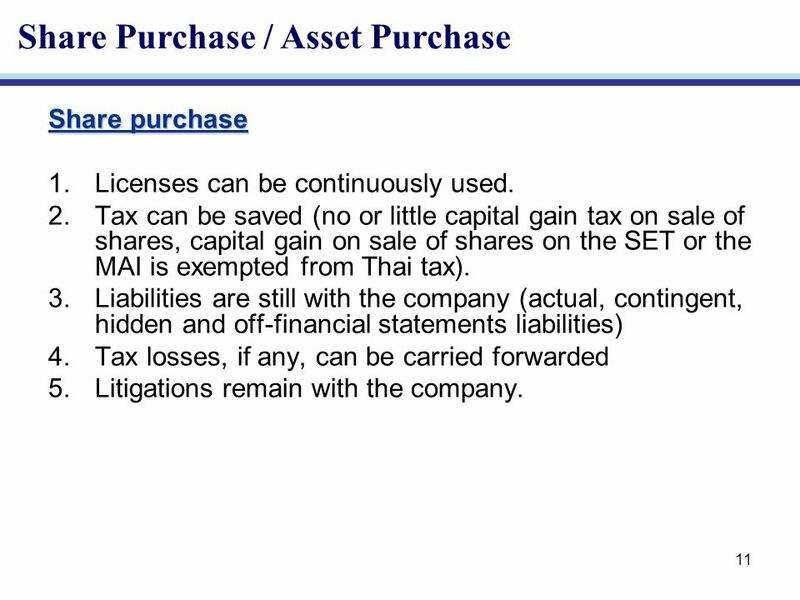 A transaction to be notified to the SET and shareholders in the case of a transaction with the value of at least 15% but less than 50% of the assets of the listed company. 4. 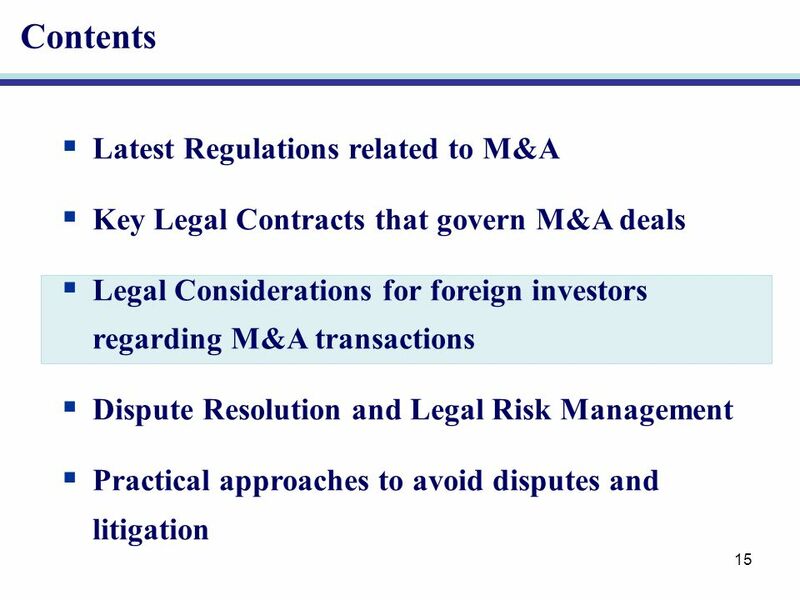 A transaction to be notified to the SET but not to shareholders in the case of a transaction with the value of less than 15% and issuance of securities by the listed company. 5. 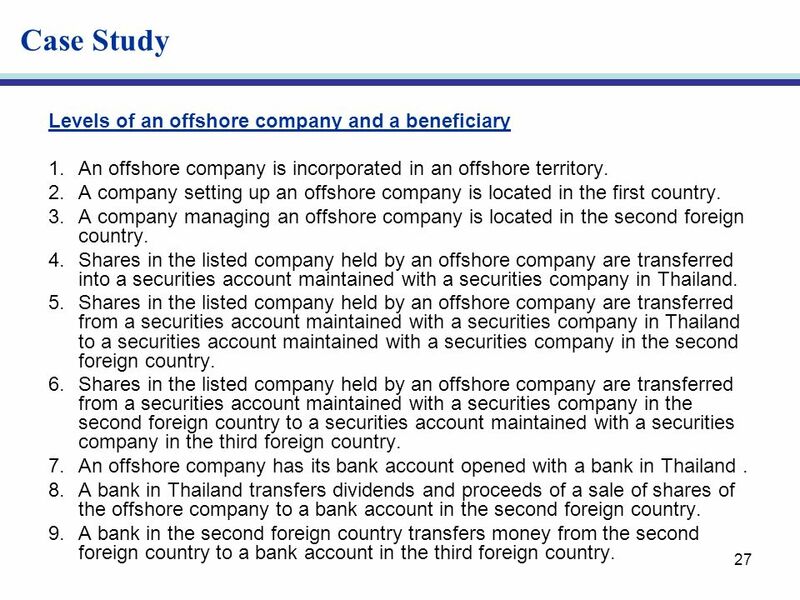 A transaction not to be notified to the SET in the case of a transaction with the value of less than 15% but no issuance of securities by the listed company. 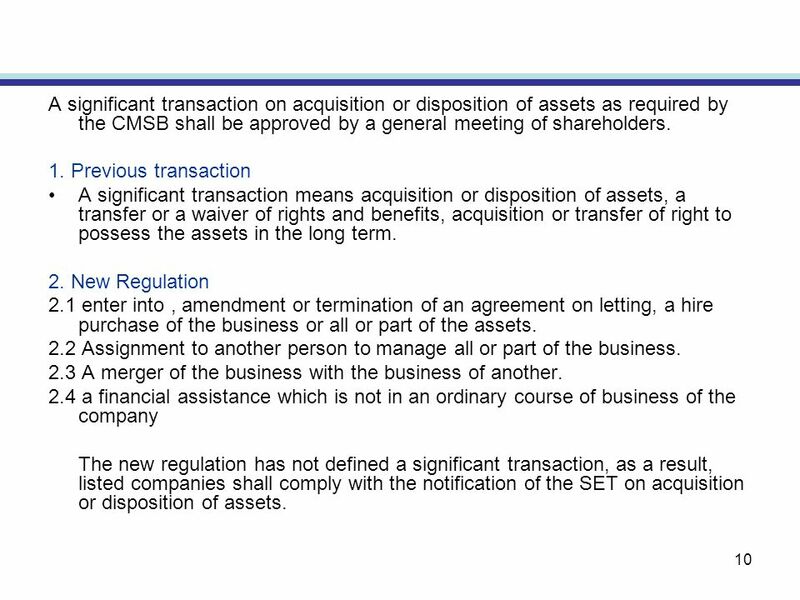 10 10 A significant transaction on acquisition or disposition of assets as required by the CMSB shall be approved by a general meeting of shareholders. 1. 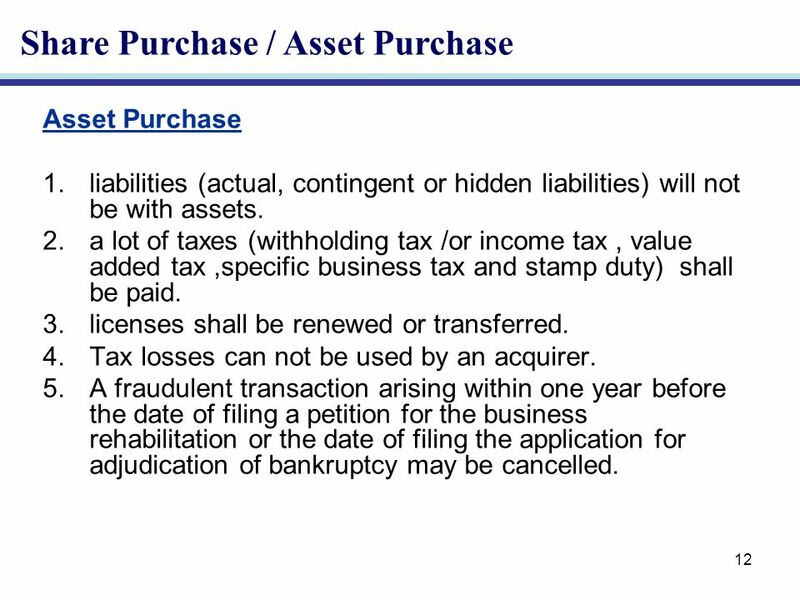 Previous transaction A significant transaction means acquisition or disposition of assets, a transfer or a waiver of rights and benefits, acquisition or transfer of right to possess the assets in the long term. 2. 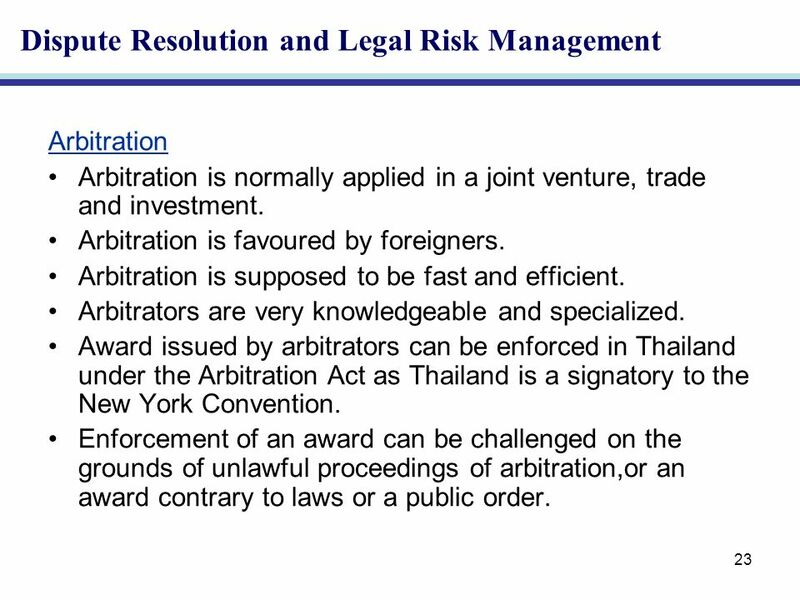 New Regulation 2.1 enter into, amendment or termination of an agreement on letting, a hire purchase of the business or all or part of the assets. 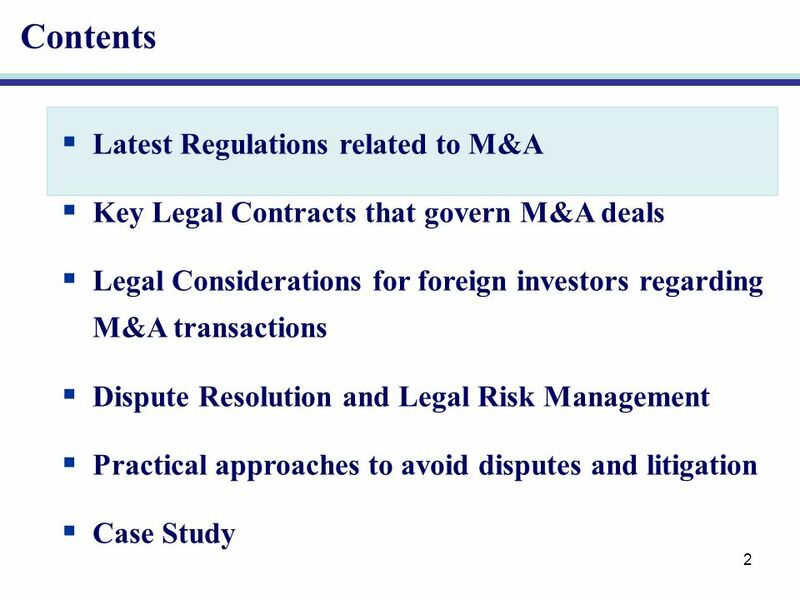 2.2 Assignment to another person to manage all or part of the business. 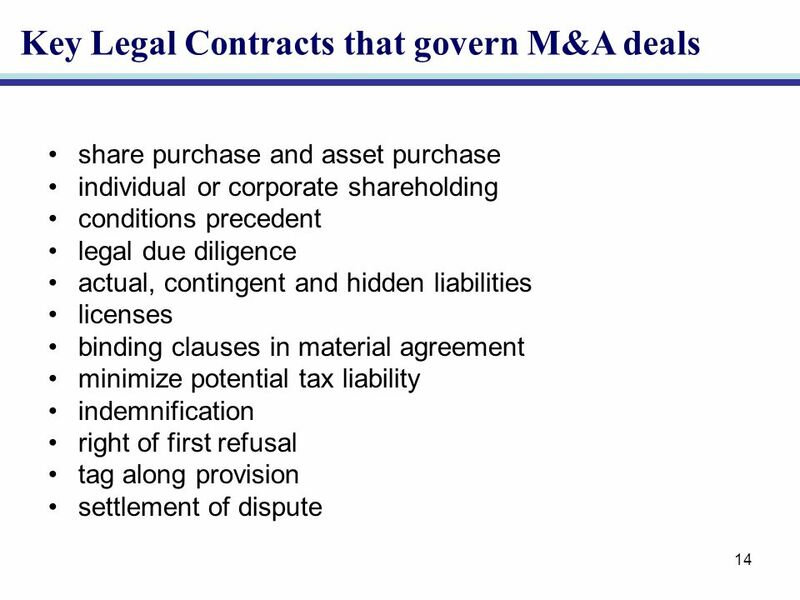 2.3 A merger of the business with the business of another. 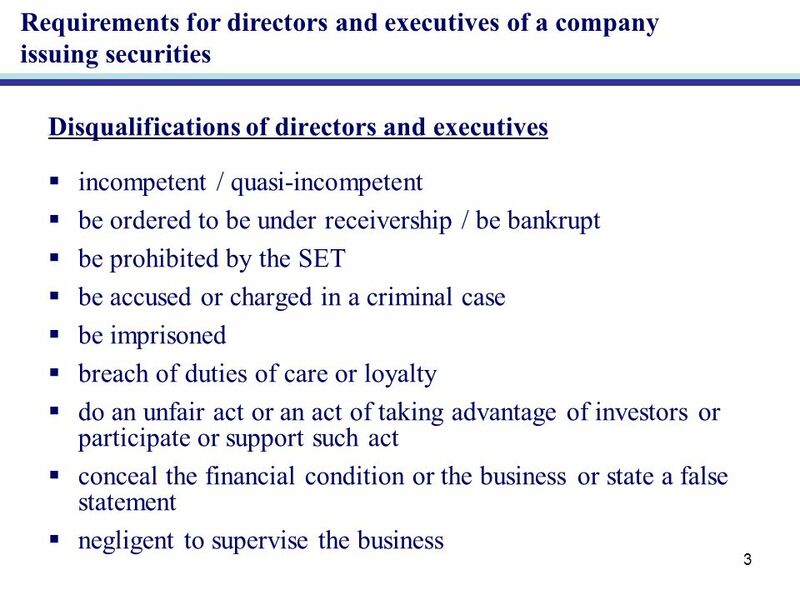 2.4 a financial assistance which is not in an ordinary course of business of the company The new regulation has not defined a significant transaction, as a result, listed companies shall comply with the notification of the SET on acquisition or disposition of assets. 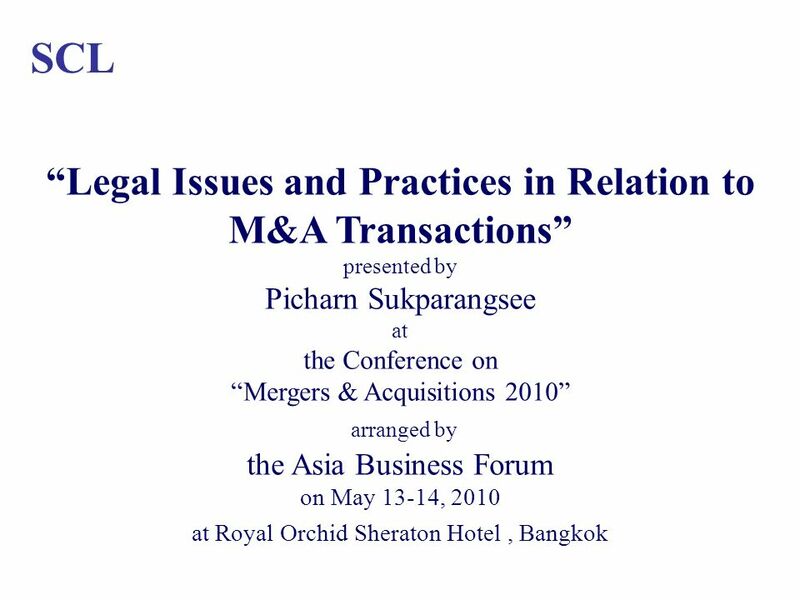 Download ppt "SCL Legal Issues and Practices in Relation to M&A Transactions presented by Picharn Sukparangsee at the Conference on Mergers & Acquisitions 2010 arranged." 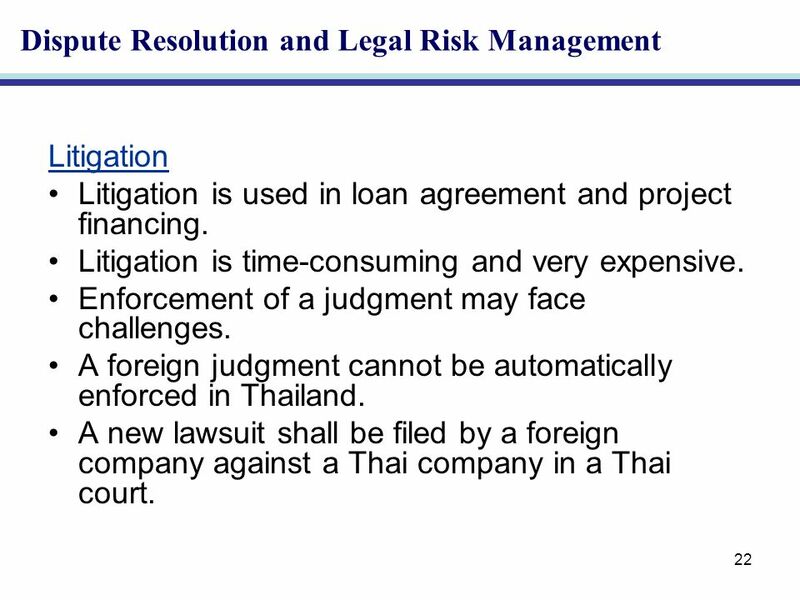 Copyright © 2009 South-Western Legal Studies in Business, a part of South-Western Cengage Learning. CHAPTER 19 Nationalizing, Expropriation, and Privatization.